Egnyte, an enterprise-focused file sync and sharing startup, is expanding beyond its roots in holding onto companies' data for them, and now aims to protect any data a company has, no matter where it's stored. 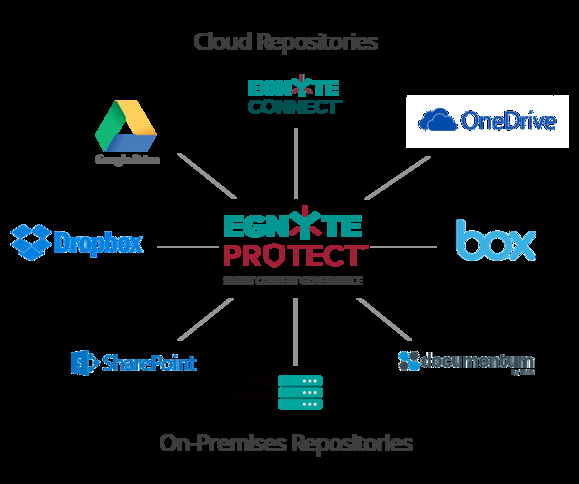 Egnyte Protect is a service that aims to provide a single tool for controlling and securing company data that's stored in private data centers and in the public cloud. It's based on the content protection capabilities that are built into Egnyte's file sync and share product, and works with products including SharePoint, OneDrive, Dropbox and Google Drive, the company said Tuesday. Moving into the content services business means that Egnyte can meet enterprises where they are, even if they never plan to use its file storage service, which is now known as Egnyte Connect. This isn't a pivot for the company, which still considers its file storage service to be core to its operations, Egnyte CEO Vineet Jain said in an interview. Rather, it's an expansion of Egnyte's business, aimed at expanding the possible market the company can reach. In his view, the enterprise file sync and share business will ultimately become commoditized, so a company like Egnyte will need some way to differentiate itself. At first, Egnyte Protect will focus on handling access control for company files, so that users will only be able to get into files they’re authorized to work on. In addition, administrators will be able to see a dashboard that shows unusual usage patterns, so they can keep files locked down when something potentially goes wrong. Every six months after Tuesday’s launch, the company plans to add features focused on (in order) selective encryption, data residency and data retention. It's a crowded market for Egnyte to jump into, but it's possible that the company could differentiate itself from competitors with its hybrid approach that loops in multiple providers from different companies.